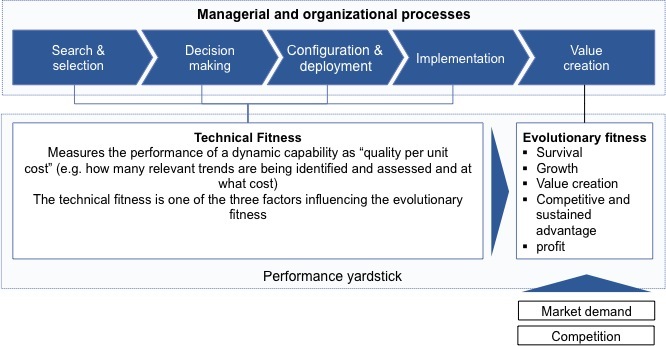 evolutionary fitness, which measures the effect of dynamic capabilities on competitiveness. 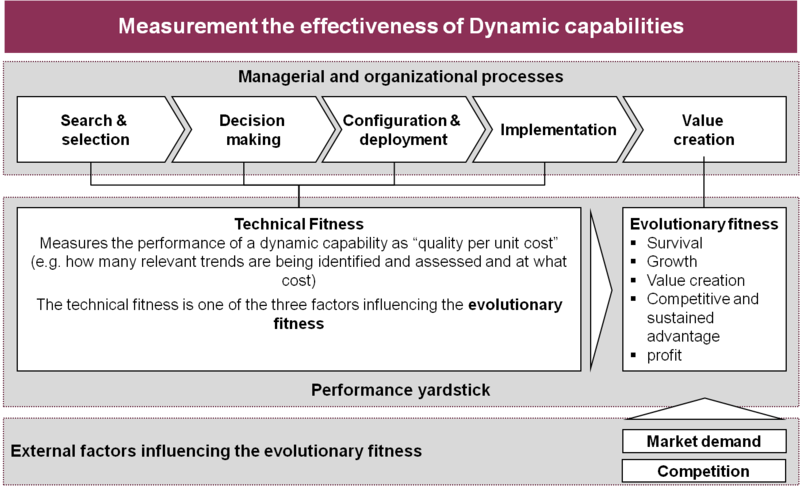 You can see in the presentation that I concluded that in order to be able to measure these two dimensions we need first to understand better what dynamic capabilities really are and how they deploy their transformative power. That means also that we should continue to look deeper into what actors do and what steps they go through to overcome the barriers to change and transform their company. For us that means that we will try to use strategy-as-practice methods (such as ethnographic studies , observations of board meetings and analysis of decision memos) to study a whole episode from the emergence of a discontinuous change to the successful response by a company. The hardest part in such research is the access to the empirical data as companies need to believe in the value of the research, to accept the disturbing effect of such research, and at the same time have sufficient trust to grant us such a deep access to their strategic decision making and planing activities. So wish us luck with the recruitment of companies. Schwarz, Jan Oliver, Ram, Camelia and R. Rohrbeck 2018 Combining scenario planning and business wargaming to better anticipate future competitive dynamics. Futures, in press. Jissink, Tymen, Schweitzer, Fiona and René Rohrbeck 2018 Forward-looking search during innovation projects: Under which conditions it impacts innovativeness. Technovation, in press. Rohrbeck, René et al. 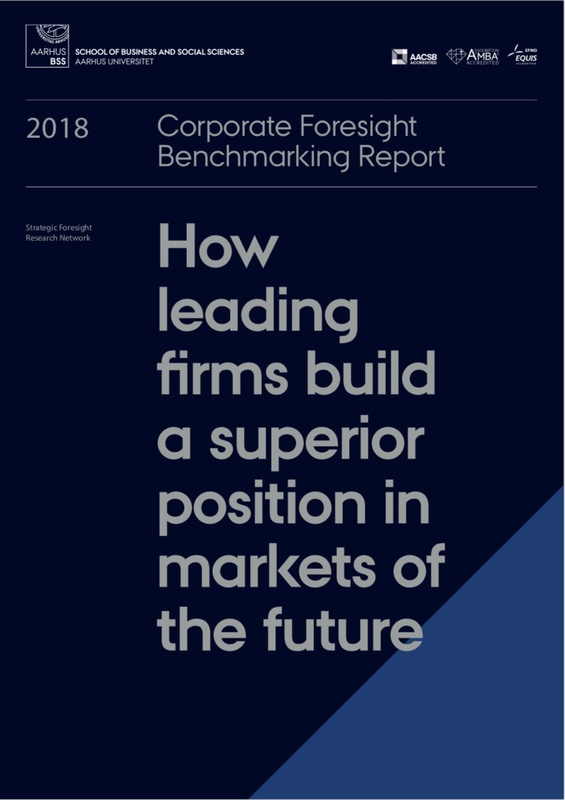 2018 Corporate Foresight Benchmarking Report 2018: How leading firms build a superior position in markets of the future. Strategic Foresight Research Network, Aarhus BSS. Rohrbeck, René & Menes E. Kum 2018 Corporate foresight and its impact on firm performance: A longitudinal analysis. Technological Forecasting and Social Change, 129, 105-116. Højland, J. & R. Rohrbeck 2018 The role of corporate foresight in exploring new markets: evidence from 3 case studies in the BOP markets. 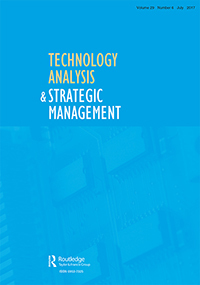 Technology Analysis & Strategic Management, 30(06), 734-746. Kaulio, M., K. Thorén & R. Rohrbeck 2017 Double ambidexterity: How a Telco incumbent used business-model and technology innovations to successfully respond to three major disruption. Creativity and Innovation Management, 26(4), 339-352. Moqaddamerad, S., P. Ahokangas, M. Matinmikko, & R. Rohrbeck 2017 Using Scenario-based Business Modelling to Explore the 5G Telecommunication Market. 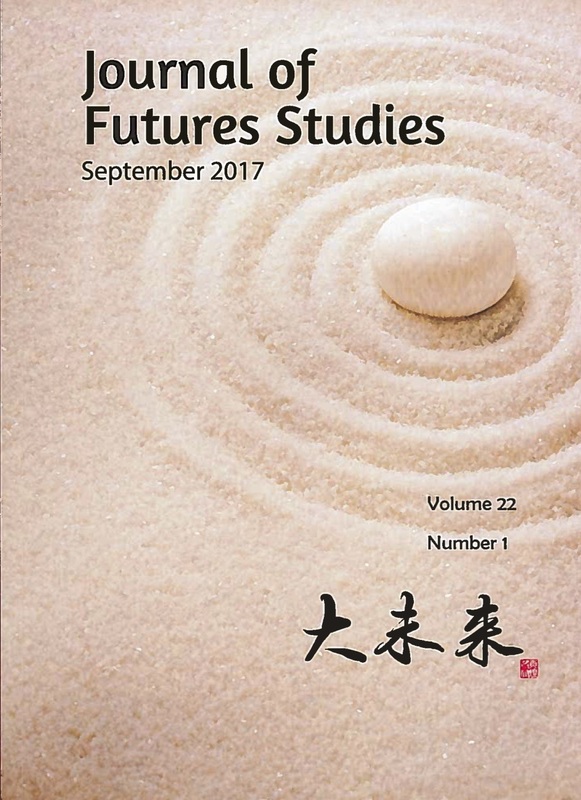 Journal of Futures Studies, 22(1), 1-18. Lehr, T., U. Lorenz, M. Willert, & R. Rohrbeck 2017 Scenario-based strategising: Advancing the applicability in strategists’ teams. 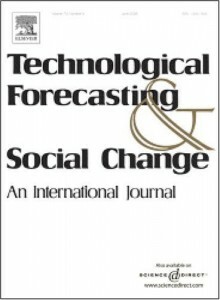 Technological Forecasting and Social Change, 124, pp. 214-224. Rohrbeck, R., C. Battistella and Eelko K.R.E. Huizingh 2015 Corporate Foresight: An Emerging Field with a Rich Tradition. Technological Forecasting and Social Change, 101, pp. 1-9. Rohrbeck, R., N. Thom and H.M. Arnold 2013 IT Tools for Foresight: The Integrated Insight and Response System of Deutsche Telekom Innovation Laboratories. 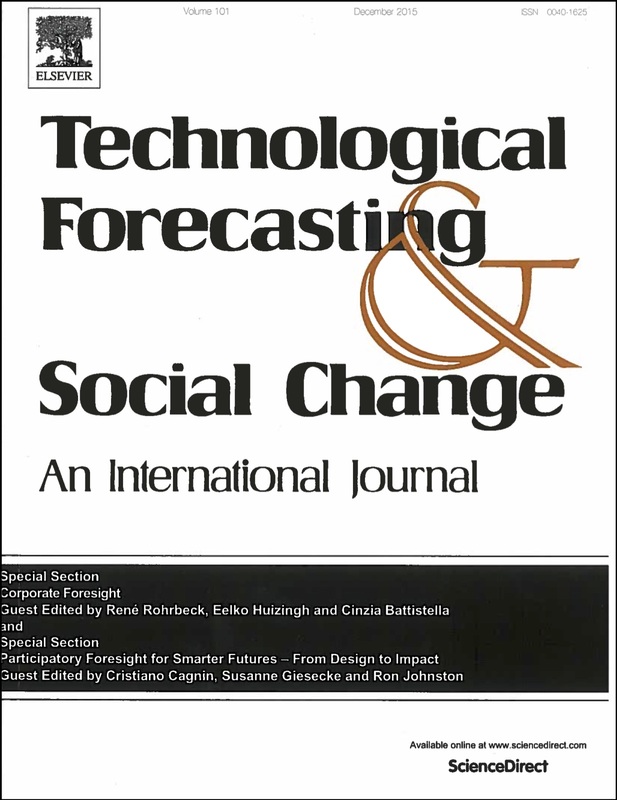 Technological Forecasting and Social Change, 97(8), pp. 115-126. Rohrbeck, R. and J. O. Schwarz 2013 The Value Contribution of Strategic Foresight: Insights from an Empirical Study on Large European Companies. Technological Forecasting and Social Change, 80(8), pp. 1593-1606. Rohrbeck, R., L. Konnertz and S. Knab 2013 Collaborative Business Modelling for Systemic and Sustainability Innovations. 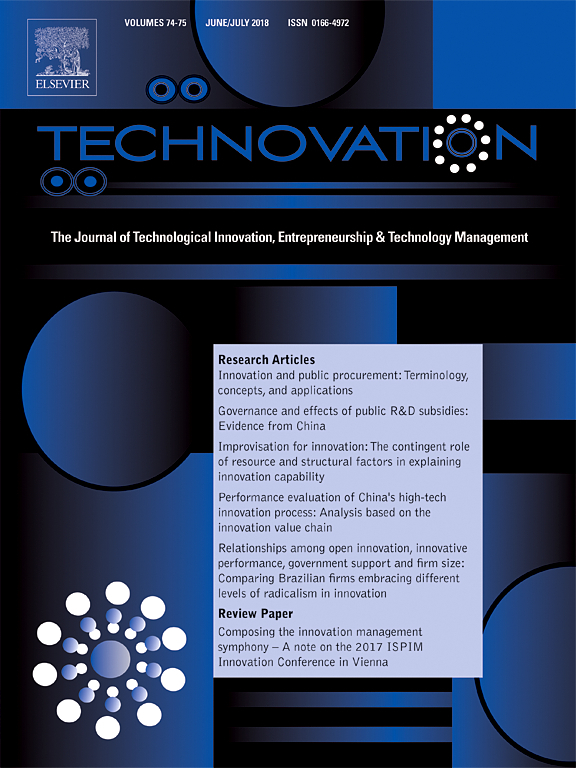 International Journal of Technology Management, 63(1/2), pp. 4-23. 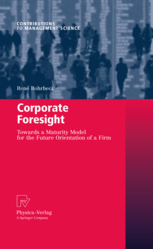 Rohrbeck, R. and P. Kallehave 2012 The Role of Corporate Foresight in Promoting Sustainability. 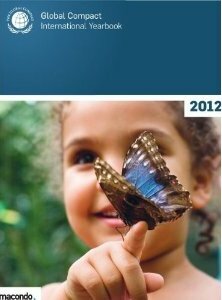 In: UN Global Compact International Yearbook, United Nations, June 2012, pp. 184-188. Rohrbeck, René 2012 Exploring Value Creation from Corporate-Foresight Activities. Futures, , 44(5), 440-452. Heger, T. and R. Rohrbeck 2012 Strategic Foresight for Collaborative Exploration of New Business Fields. Technological Forecasting and Social Change, 79(5), 819-831. Rohrbeck, R. 2010. Corporate Foresight: Towards a Maturity Model for the Future Orientation of a Firm. Heidelberg and New York: Physica-Verlag, Springer. Trending topics of futureorientation.net and discussion: Can word clouds be useful for trend analysis?